The Terrace Grille Restaurant - Marketing Specifics, Inc. The Peninsula on the Indian River Bay is an exclusive, private, golf-course community located just outside of Rehoboth Beach, Delaware. Boasting a resort lifestyle, The Peninsula offers first class amenities, including The Lakeside Village. 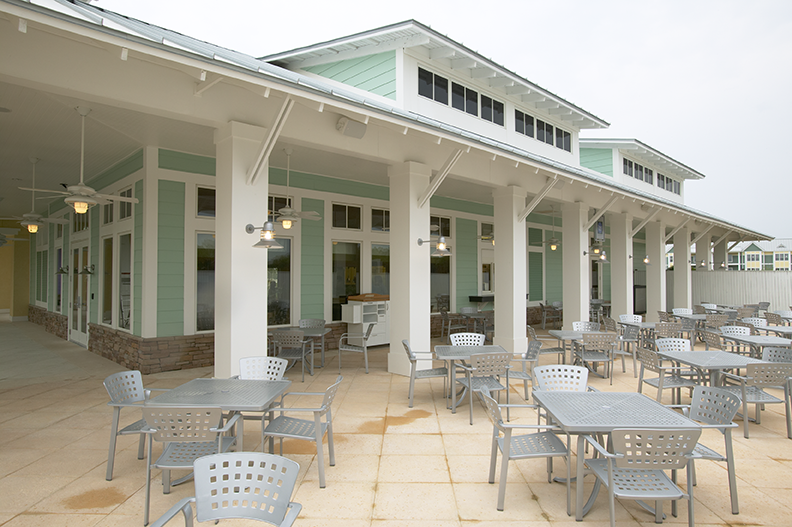 The Terrace Grille is part of the Lakeside Village; a charming retail environment designed in coastal architectural style, complementing the architecture of the community itself. The interior of the Terrace Grille Restaurant and Bar was designed to play off the coastal style, and to create a welcoming ambiance that ties in with the serene surroundings. This design concept was achieved with warm wood tones, interesting textures, and natural fabrics throughout the space. 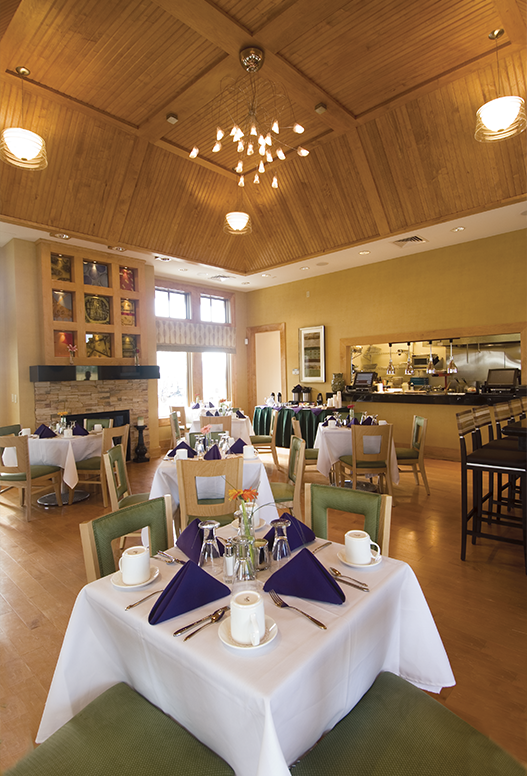 The restaurant features a cozy stone fireplace that draws in the guests and residents. Above the fireplace, creating a focal point, there are niches with whimsical back-lit artwork that was commissioned just for The Terrace Grille. 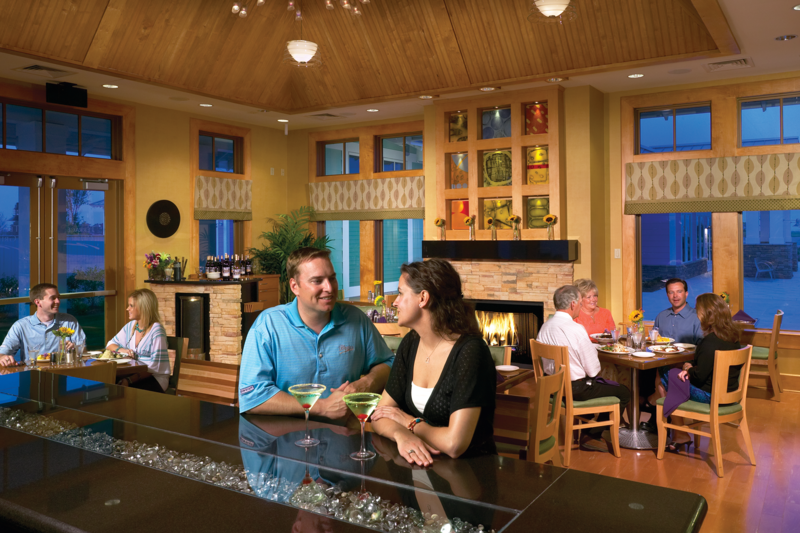 With an open kitchen design, the restaurant includes a freestanding stone bar, with seating on allsides, offering a great place for residents to gather after a day on the golf course. The Terrace Grille offers meals throughout the day, from breakfast to dinner; whether it be an early morning breakfast for eager golfers, a poolside lunch on the terrace with the family, or dinner and cocktails for the evening crowd, The Terrace Grille is the perfect gathering spot for all The Peninsula’s residents.